Help your kids feel loved! Here's a list of 5-minute ways to connect with your kids and help them feel loved all day long. 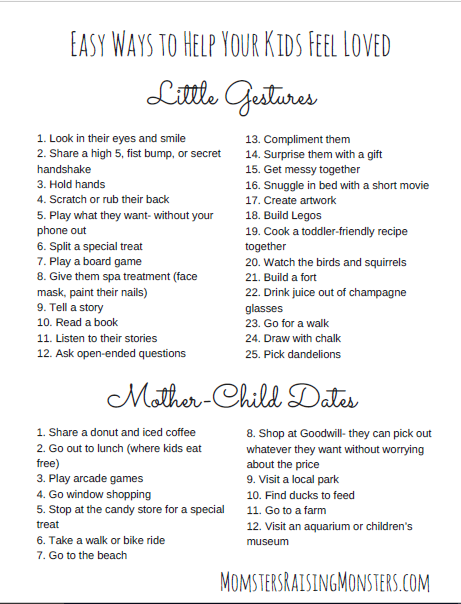 Plus, you get a list of mother-child date ideas! When you download this printable, you agree to receive emails from me.